A clever and unique little free PSD website design in Photoshop, ready for your eyeball viewing pleasure. 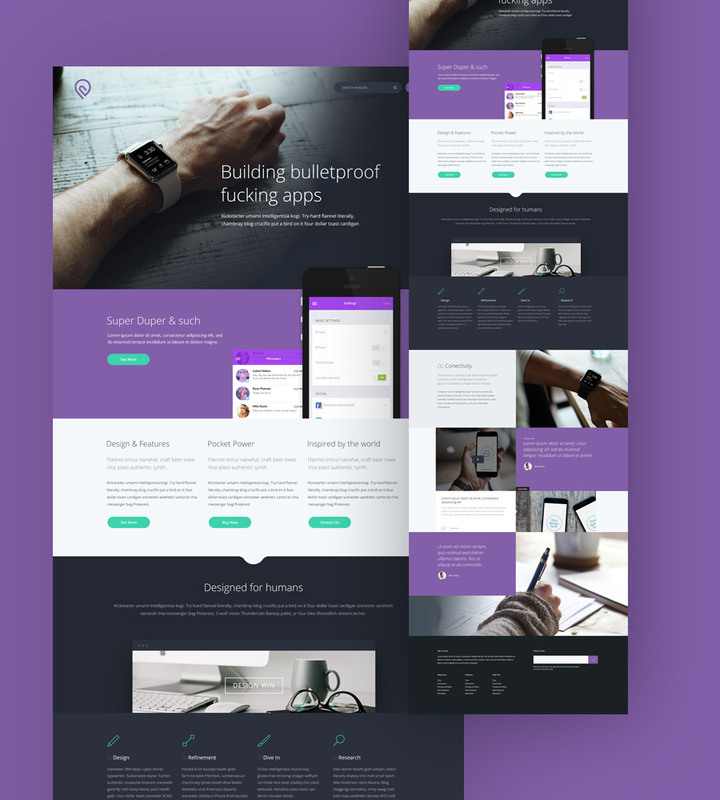 Tork Free PSD website template design in Photoshop, uses a subtle purple and grey colour scheme to suit well with startup photography and iconography. 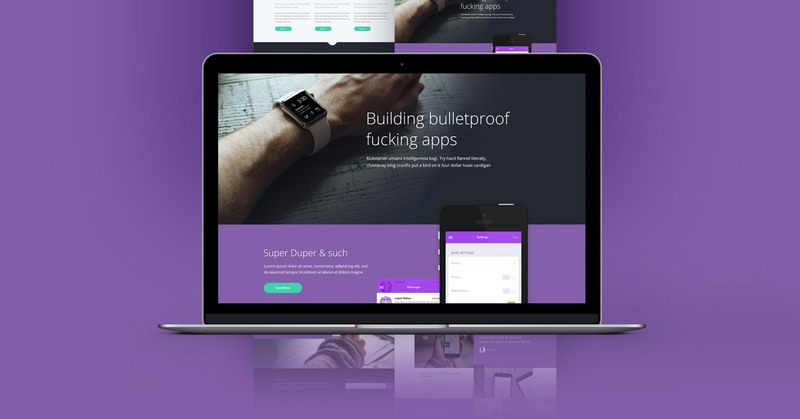 Tork free PSD is based on a fictional mobile app development company and could work for a small startup tech company, or a online service sales website. With beautiful rich colours, use of great images from Unsplash.com, Tork uses Google’s Open Sans web font. The latest addition to my designer bat belt is a great little website called Logo Dust. Logo dust give away new logo every week and similar to Unsplash.com, is a great free resource to add to my free PSD website templates. A full body design with lots of unique content layout options.